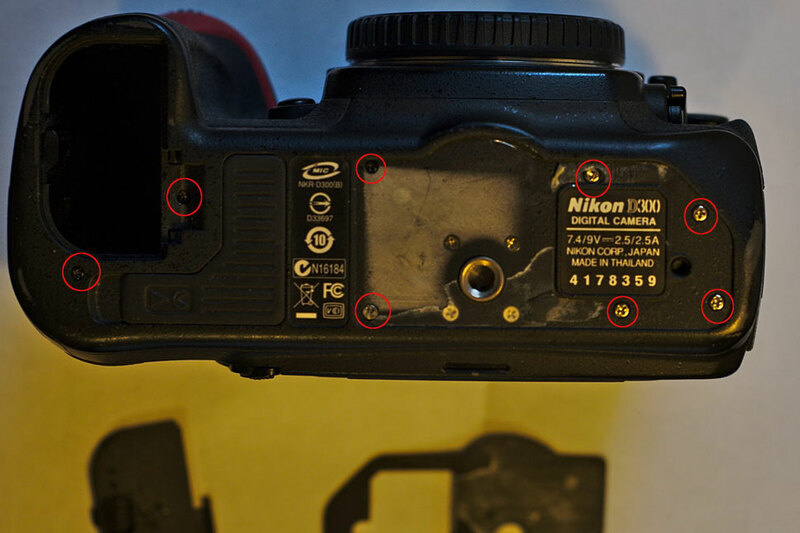 Last year i converted my old Nikon D70, but the image quality, especially in long exposures, is very poor. 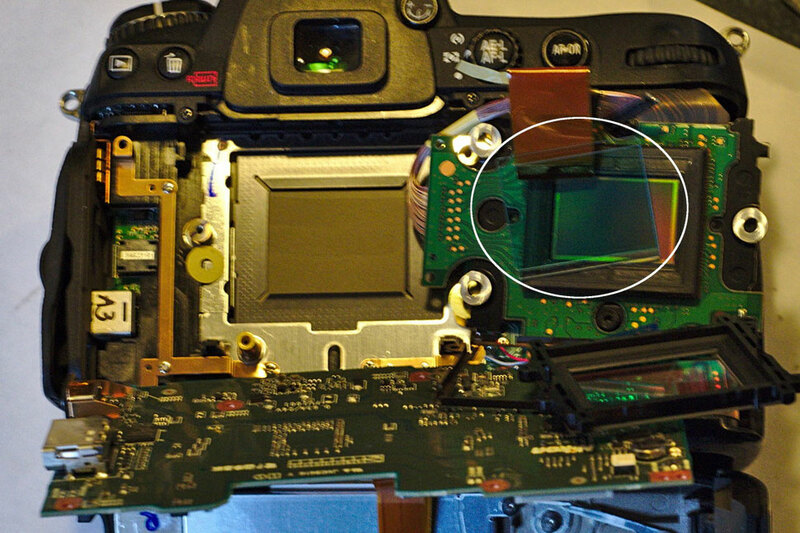 After buying a Nikon D300 in quite good condition for only 142€ i decided to convert it to full spectrum by removing the hot mirror filter. - This tutorial is intended for experienced professionals. - Open your camera will void your warranty. - You do that at your own risk. I am not responsible for any damage of your camera. 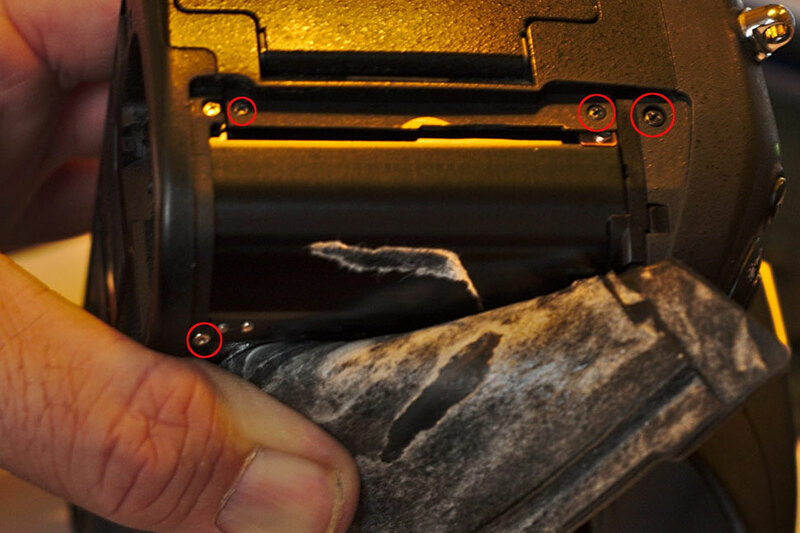 - Be very carefull while removing and mounting the sensor frame. 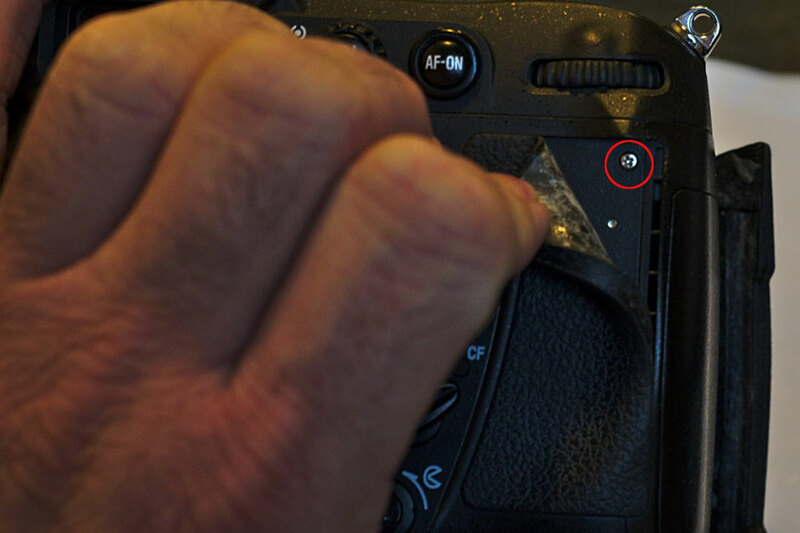 You could potentially ruin the factory calibration for the focus. Step 1: Remove battery door and bottom rubber and remove all red marked screws. Step 2: Remove the two marked screws. Step 3: Remove the four marked screws. Don't remove the complete rubber. Step 4: Lift the back rubber a little and remove the one marked screw. 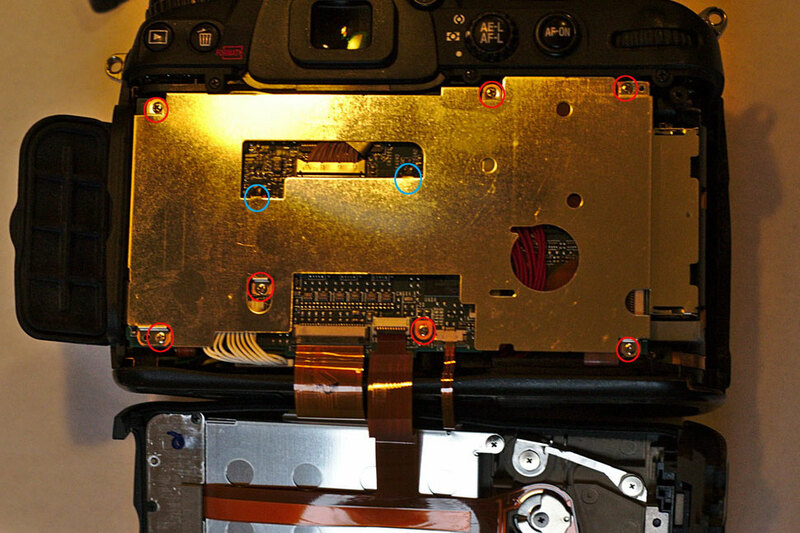 Step 5: Flip over the rear cover, remove all red marked screws and desolder the blue marked ground tabs. Remove the metal sheet. Step 6: Remove the blue maked cables and flip over circiut board. 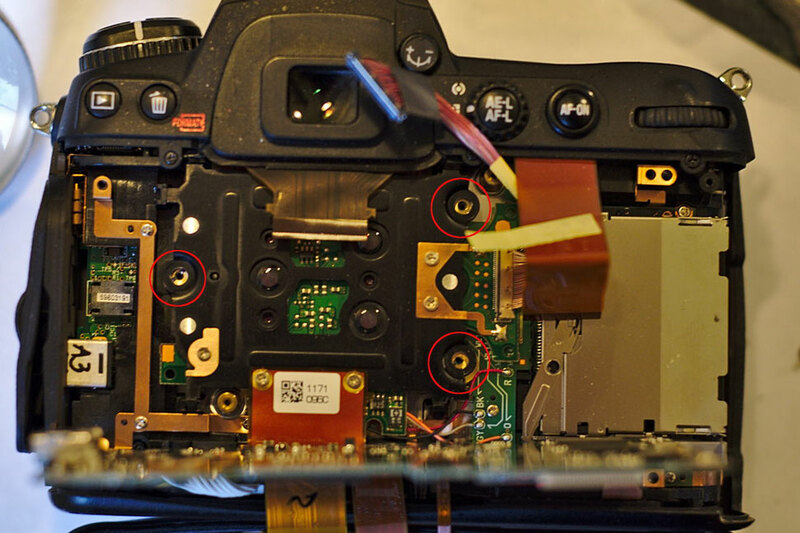 Step 7: Remove screws on the three red marked positions. 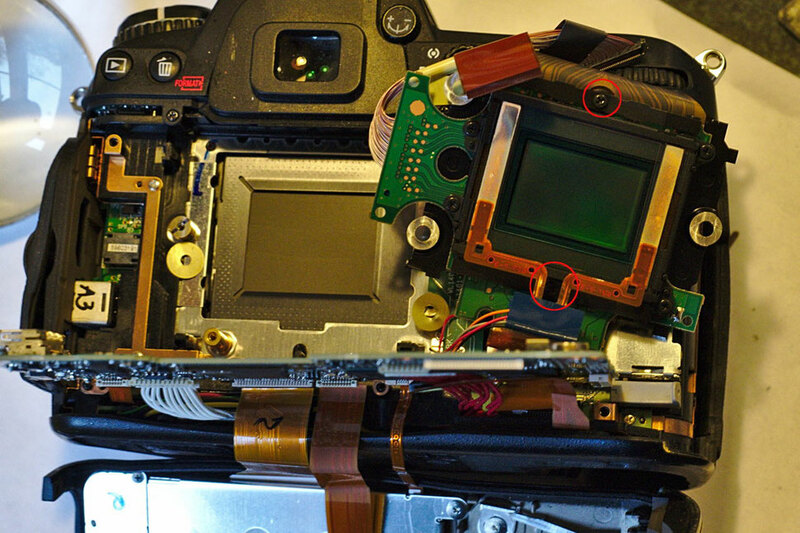 Step 8: Flip over the sensor frame and remove the two red marked screws and the metal springs. Step 9: Flip over retainer with dust reduction filter. 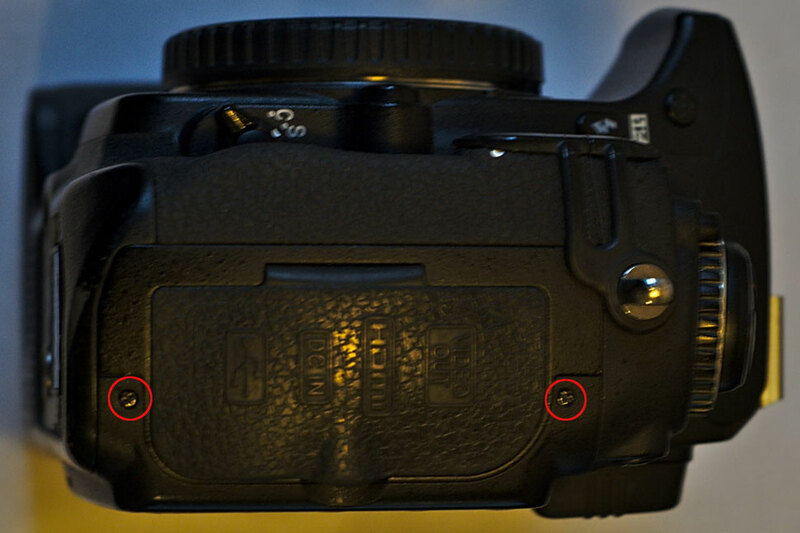 Remove the white marked hot mirror filter. 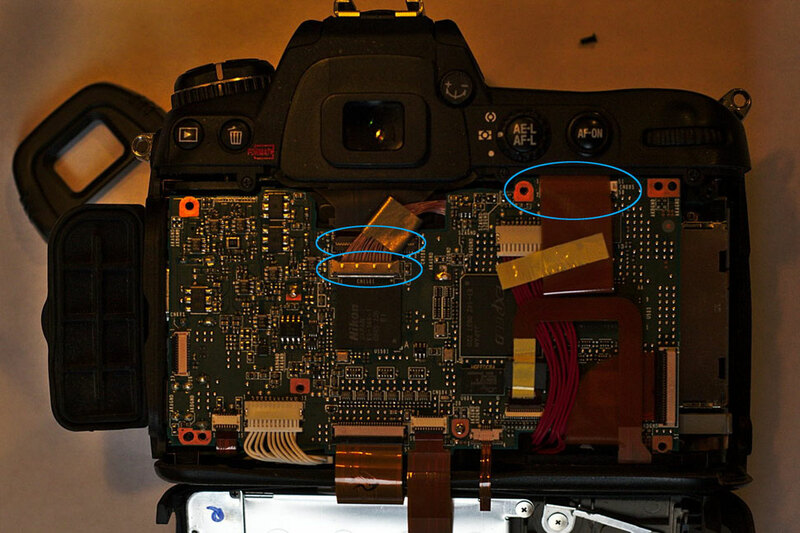 Before reassemble the camera in reverse order clean all parts, especially sensor with canned air. After reassemble retainer with dust reduction filter clean the surface with alcohol. good succeed & stay tuned for the first full spectrum Light Paintings taken with the converted Nikon D300.